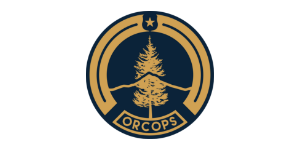 Oregon has a serious car theft problem. 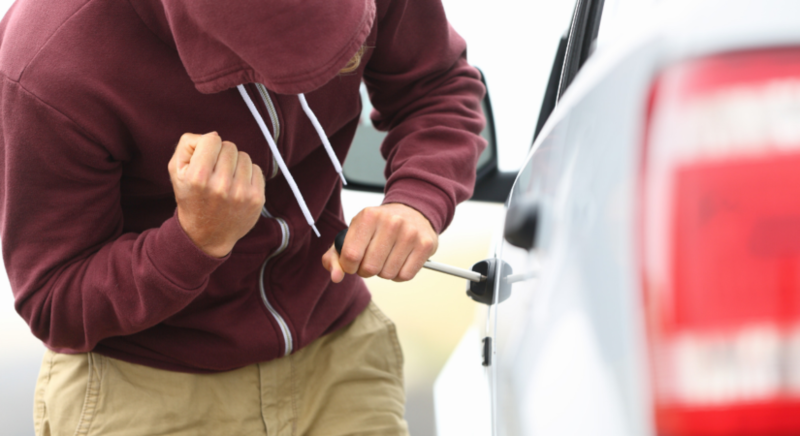 Portland ranks 5th in the nation among the top twenty cities with the most car theft. Suspects avoid prosecution by claiming ignorance, even in the face of overwhelming and incontrovertible evidence - it's the vehicle theft loophole. 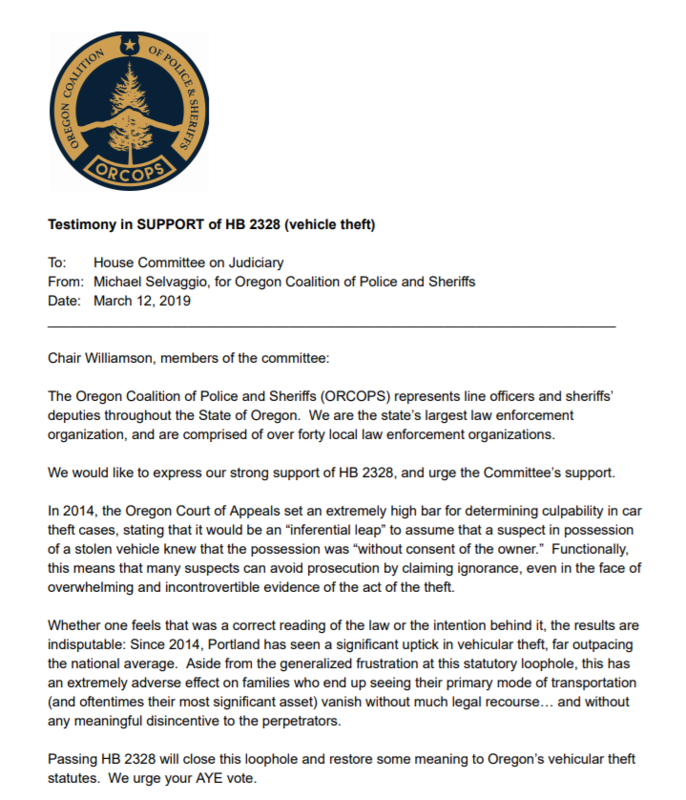 This week, ORCOPS provided written testimony in strong support of House Bill 2328 which closes the loophole and restores some meaning and common sense to Oregon’s vehicular theft statutes. Modifies culpable mental state for crime of unauthorized use of a vehicle when person takes, operates, exercises control over or otherwise uses vehicle, boat or aircraft without consent of owner.